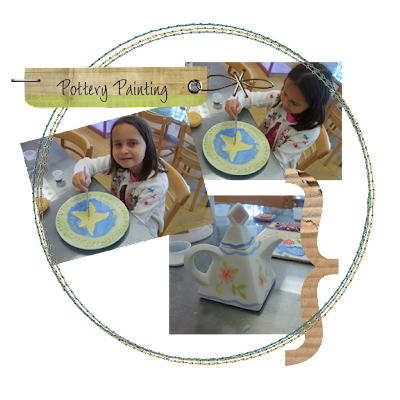 Destiny and I went to S'Platters today and painted some pottery. We had so much fun, these are the photos of our creations. I can't wait until next week, to go back and pick up my mini tea pot (which I will use for my coffee creamer) and Destiny's creative star plate.